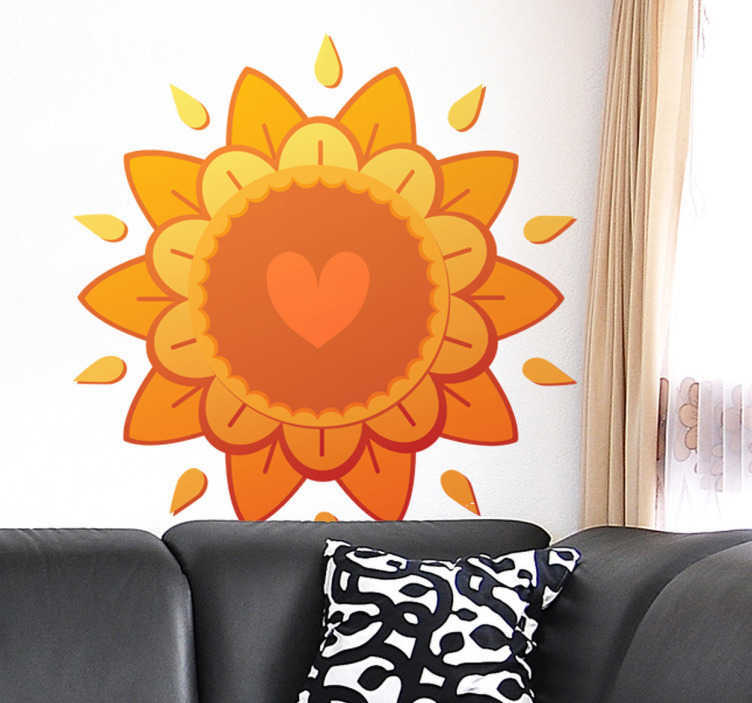 Decals - Warming illustration of an orange flower with a heart in the center. Available in various sizes. Wall stickers made from high quality vinyl. Easy to apply. Also suitable for windows, doors, units, furniture, appliances and more.